Product prices and availability are accurate as of 2019-04-25 01:23:24 EDT and are subject to change. Any price and availability information displayed on http://www.amazon.com/ at the time of purchase will apply to the purchase of this product. Weed Out - for removing the entire weed and root all in one move! The kit also includes 2 extension rods and all necessary hardware for your convenience. REVOLUTIONIZE YOUR GARDENING EXPERIENCE: Whether for tilling, weeding, planting or digging, this smart home gardening tool kit is here to make your life easier! 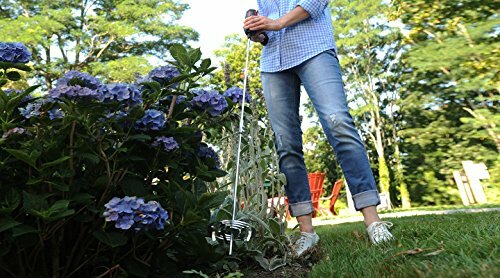 Designed for use with a cordless drill, this all-in-one gardening tool allows you to dig holes, plant seeds, remove weeds and roots, till your flower bed or aerate your soil, fast and effortlessly! And the best part? You no longer have to use harmful chemicals! PROTECT YOUR BACK AND KNEES: Keep your garden looking neat all year round, without risking painful knee or back injuries. 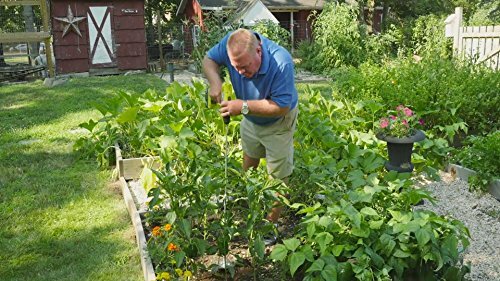 Thanks to its convenient extension rods, the Drill Till allows you to plant vegetable bulbs, flats and annuals while standing, thus making gardening a truly enjoyable and pain-free experience. Ideal for seniors or any man and woman suffering from arthritis. 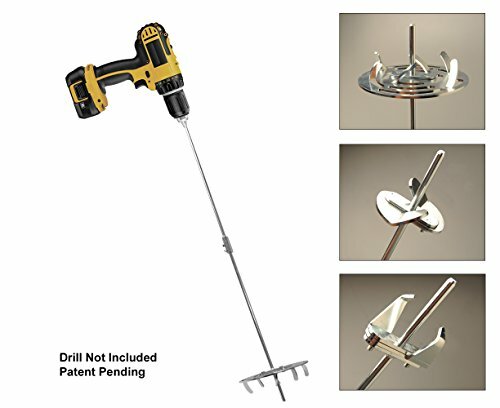 BUILT TO LAST: Extremely durable, yet lightweight, the Drill Till gardening tool is equipped with a 36 inch shaft and a patented stabilizer bar that makes sure it stays in place at all times, while it is able to work with most power drills and cordless screwdrivers (at least 12 V). The top materials used and efficient design make this smart gardening tool a must-have for every modern gardener. Made in the USA. COMPLETE KIT WITH EVERYTHING YOU NEED: Inside the Drill Till gardening tool you will find everything you need to get started right away: 3 attachments for different tasks, a Tilling head for tilling and aerating, a Hole Digger for effortless seed planting and a Weed Out attachment for removing the entire weeds with their roots. The kit also includes 2 extension rods and all the necessary hardware to get you started. ASSEMBLE IN MINUTES: Drill Till is very easy to assemble and disassemble in only minutes, thanks to our quick-attach bracket and wrench (included). All 3 heads mount the same for quick and hassle-free assembly, every single time.